Lalibela is a small mountain village in northern Ethiopia, within the Tigray region. What lacks in size makes up for with its religious presence. During the 8th and 9th centuries, Christianity spread in Tigray and Lalibela was the epicenter of religion in Tigray at the time. Churches were built directly into the rock, with intricate carvings and caves used as places of prayer. Devout Christians come here daily for prayer and Sunday is an incredible sight to see. Surrounding the village are lush green mountains and rolling hills. 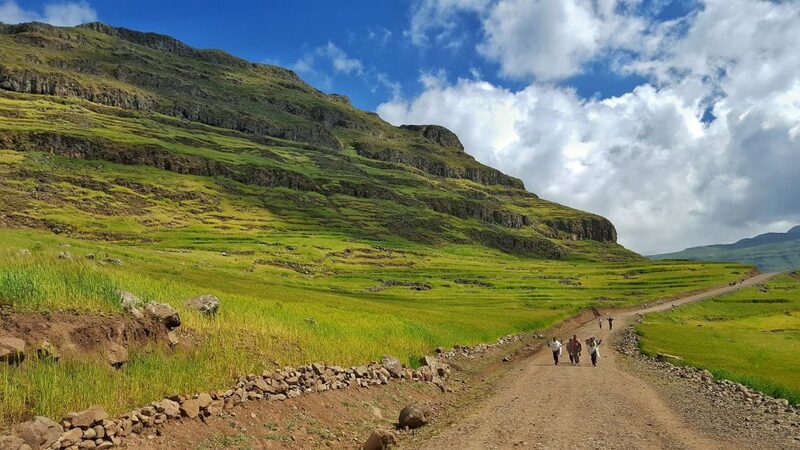 On one side of the village are trails leading up to Abuna Yosef, one of the tallest mountains in Ethiopia standing at 4,260 meters high. The hike up to Abuna Yosef is an incredibly rich cultural experience. Nearly the entire route up is passing by small mountain villages. The interaction with locals and children along the trail make this a unique hike. 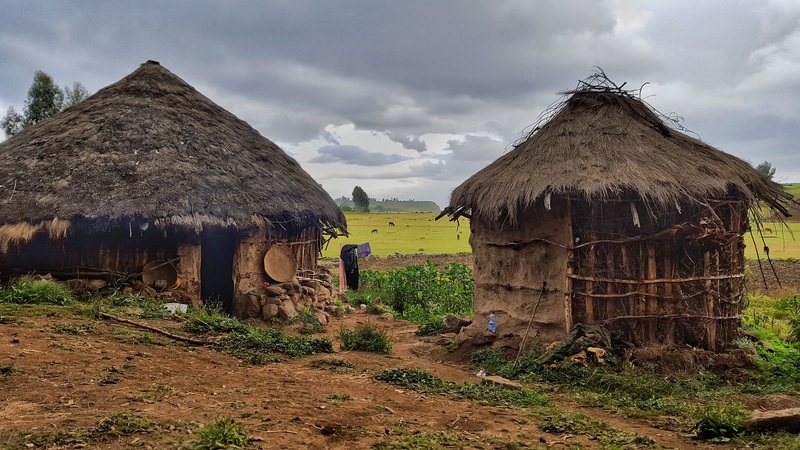 An overnight stay with a local family in traditional mud huts (and possibly some entertainment), made this one of our favorite activities in Ethiopia. 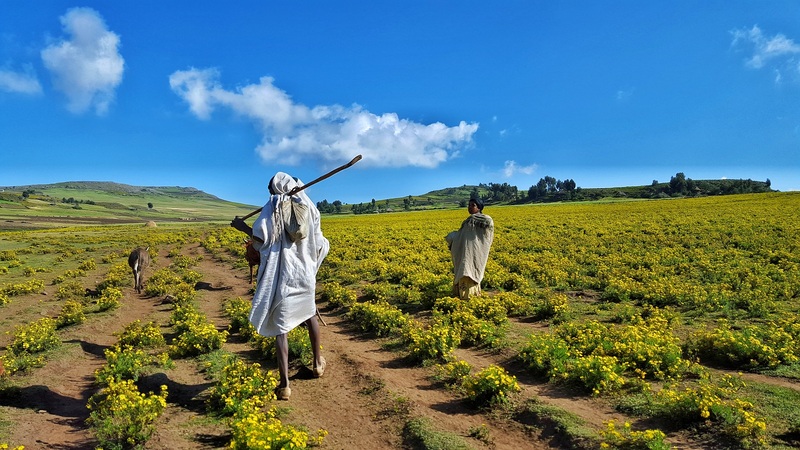 The best time to visit Lalibela is between October and January during the dry season. January 7 (Ethiopian Christmas) and January 19 (Epiphany) are the two most festive days of the year. 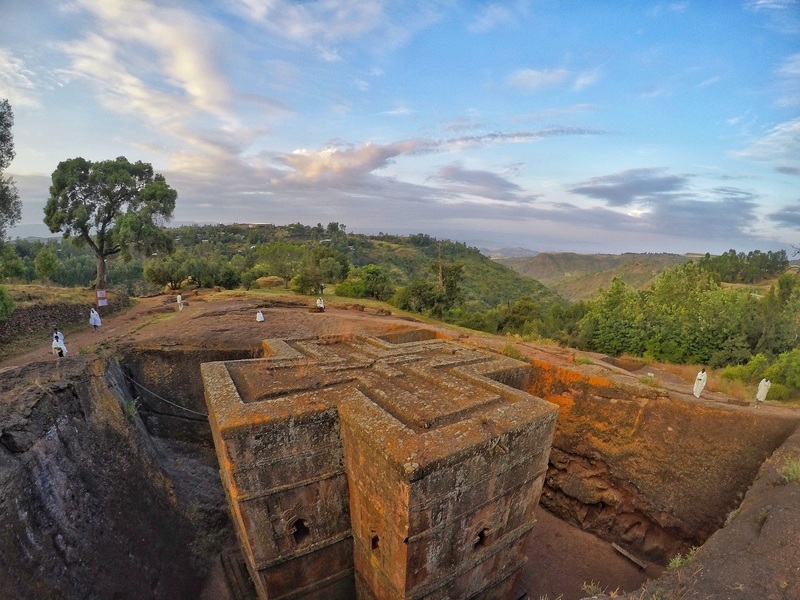 Lalibela gets packed, so make sure to plan. Stay over the weekend and check out the Saturday market followed by early morning (6 AM) mass on Sunday. Mid-Range Stay: Panoramic View Hotel has stunning views from the room, with doubles starting at $60 USD. Unique Restaurant is a local favorite with meals for 40 to 60 Birr. Come for sunset drinks at Ben Abeba followed by a meal for 40 to 100 Birr ($1.50 – $4 USD). 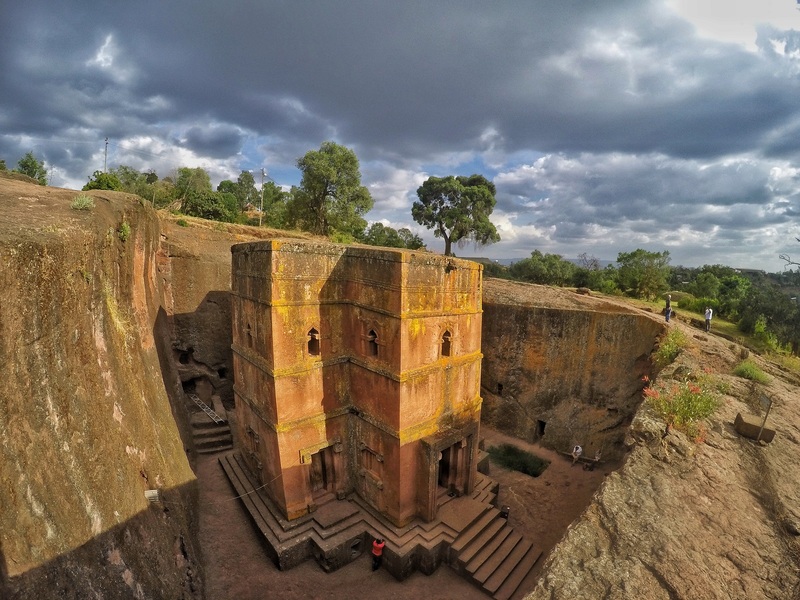 Two clusters of churches are located in Lalibela, all within walking distance of each other. Eleven total churches are connected by tunnels and small alleyways carved through stone. The impressive Saint George Church is the epicenter of this devout village. 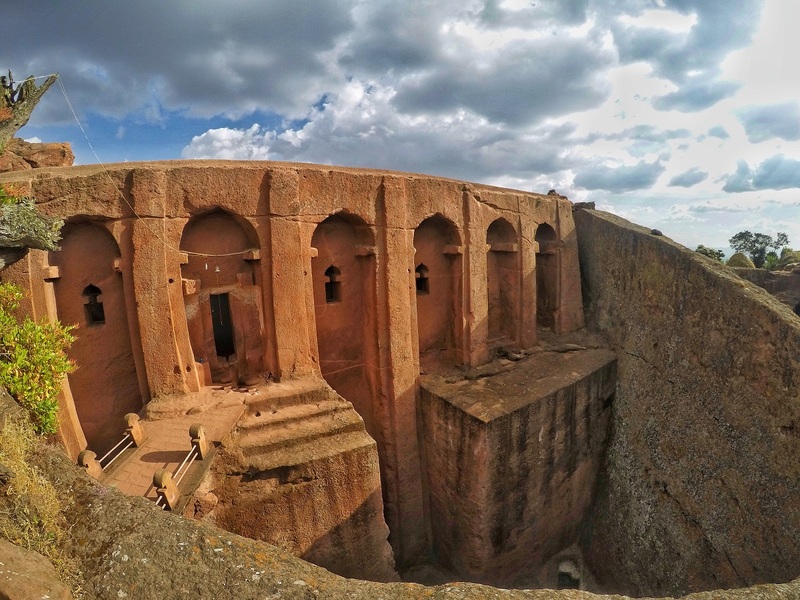 It is one of the most important monasteries in Ethiopia and a major pilgrimage site. Declared a UNESCO World Heritage site in 1978, these churches are best visited in the early morning. Hear the chants and congregation of traditional Ethiopian Orthodox worship. Entry to the churches cost 1,104 Birr ($50) for a 5-day ticket. No single day tickets are available and tickets are non-transferable. Although ticket prices are very expensive, seeing the churches is a highlight in Ethiopia. 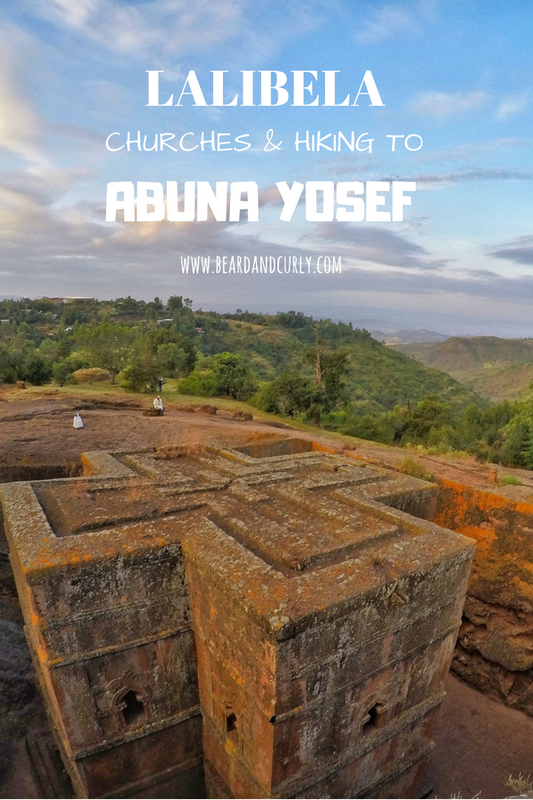 Aside from the importance of the 11 UNESCO churches, hiking to Abuna Yosef draws tourists to Lalibela. The first day of the hike up the mountains ends at one of the small villages. There are excellent opportunities to immerse in the local traditions and culture. 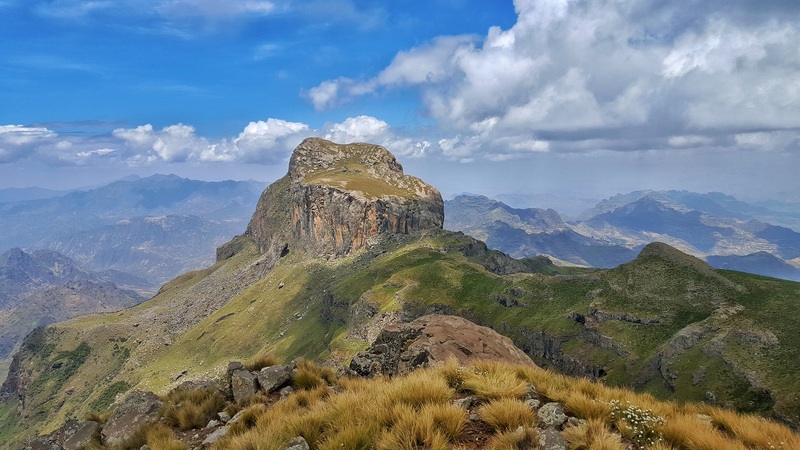 The second day is a long hike up to the summit of Abuna Yosef, Ethiopia’s sixth tallest peak. The panoramic views of the lush green valleys are impressive. The third day is a hike down the mountain back to Lalibela. 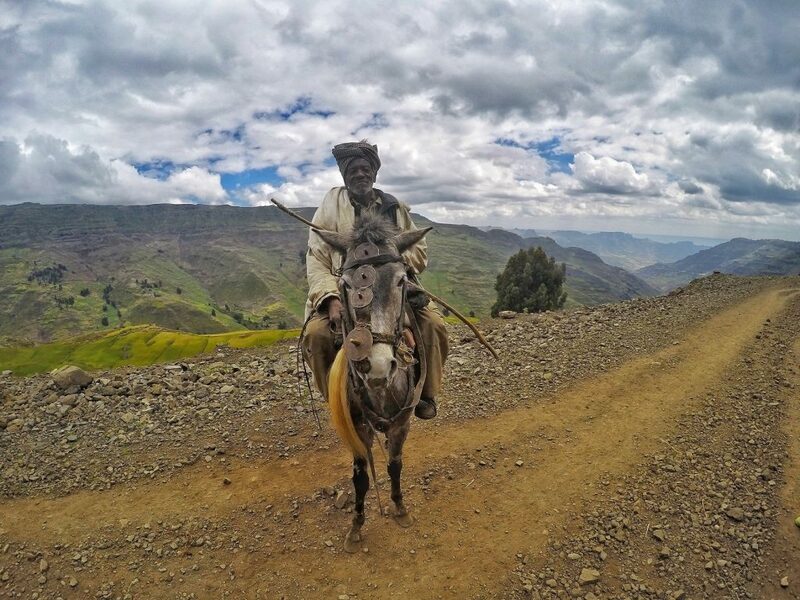 Not only are the mountains beautiful, this hike adds a wonderful cultural experience. It is a challenging hike due to the altitude. The peak stands at nearly 4,300 meters and there is a lot of elevation gain in only two days. Costs are negotiable and can range from $20 to $60 per person per day for the three-day hike. Booking ahead will cost more, so wait to book in Lalibela for the best price. There is an extra fee of 300 Birr before Abuna Yosef summit. Several tour groups can organize hikes. For an excellent guide and great prices ($25/person per day) contact Damena (Dave) at +251 92 077 4790 or [email protected]. Tell him Timon and Yana say hello!